My story started many years ago. I grew up in The Netherlands and started my periods when I was just 13 years old; immediately, I experienced heavy bleeding and painful cramps. I was prescribed the birth control pill at age 14, which I never failed to take. Throughout the years, chronic fatigue kicked in and my periods became agonizing and caused regular absences from school and work. Still, I was not informed nor did I know this was abnormal. My life went on, I moved to the UK and, at 26, my partner and I decided to try to have a baby. I stopped taking the pill and I was incredibly lucky to become pregnant two months later. My pregnancy was a challenge due to severe back pains towards the end, yet also a thrill, as I didn’t have to worry about menstruating for the entire nine months. It wasn’t until my beautiful son was born that my pelvic pain escalated dramatically. I spent many days and nights in agony without receiving any support from my general practitioner; he claimed period pain was normal and over-the-counter medication would help - the usual story. About a year after my pregnancy, I was admitted to the hospital with acute abdominal pain. A laparoscopy, performed by a general surgeon, concluded a burst cyst caused the severe pain and infection. I was advised to see a gynecologist for more information, as my issue could possibly be endometriosis. This was the first time I ever heard this term. It turned out getting a referral to a gynecologist was practically impossible. My general practitioner refused to provide me with the referral I clearly needed! Fortunately for me, my family and I were about to emigrate to Australia and I was relieved to receive a referral on my first visit to my new Australian GP. At that point, my pain was unbearable; I was grateful to be able to visit a gynecologist on short notice (at a cost). The doctor could also perform surgery through the government’s system, if necessary, without the need for private health insurance. The benefit was the ability to schedule my surgery pretty much straight away! He was surprised to find absolute carnage inside of me; he diagnosed me with endometriosis and observed damage to my bowel as well. Before he was willing to touch that, I had to have a colonoscopy and endoscopy to rule out any damage on the inside of my bowels. Thankfully, this was all clear and a third laparoscopy took place to fix the bowel damage with help from a colorectal surgeon, and remove the remainder of the endometriosis and scar tissue. It took several months for me to acclimate to the results and, I must say, it was probably the worst I ever felt about my health, but I was determined not to let this condition beat me. Instead, I took the time to start researching the impact my lifestyle had on my pelvic pain and my endometriosis, and the way I was feeling. I found a lot of information out there on pelvic pain and endometriosis, as well as what can medically be done to relieve (albeit temporarily) the pain. Beyond that I discovered a sisterhood of women experiencing exactly what I was, which gave me great support - and still does. My initial search was for a forum providing consolidated information on the lifestyle and dietary aspects of endometriosis and pelvic pain. Although I understand not a lot of research has yet been completed with regards to these aspects and, that this is, like medical treatment, very individualistic (what works for one doesn’t work for another), I really struggled to find credible information. Research shows that women with pelvic pain and endometriosis are often forced to become their own healthcare experts, so I figured I was not alone in this exploration. 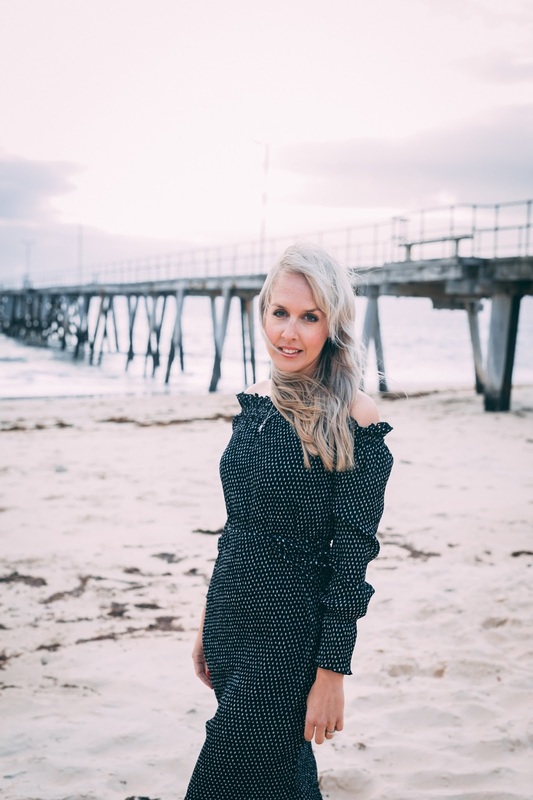 Therefore I started the ‘The Endo Lifestyle’ blog to help other girls and women by informing them of my research and personal experience, as well as assisting with living with pelvic pain to the best of their abilities. As I recovered from my surgery and adjusted my lifestyle according to plausible advice and information, I started feeling significantly better. Almost three years later, I now embrace a life that suits me, not my condition. I can honestly say I feel healthier than I ever did before! I strongly believe every woman with endometriosis and pelvic pain should not have to do months of research to find out how she can best manage her life; she should be entitled to easy-to-access information. I have therefore created a 'Practical Self-Management Guide for Living with Endometriosis and Pelvic Pain' that will be available real soon! Thank you for sharing your story Meike. If you would like to contact Meike, you can follow her on Instagram @the_endo_lifestyle, Facebook The Endo Lifestyle or through her site, The Endo Lifestyle.